The road between Bunbury and Margaret River is one of the most biodiverse regions on Earth, where stunning wines, perfect beaches and giant forests can all be enjoyed in a single day. In spring you’ll be treated to blankets of wildflowers, and until December, this part of the coastline becomes prime whale-watching territory. Heading south from Perth along the coast, it’s worth detouring through the scenic Ferguson Valley before pulling up in town. You’ll find local crafts, fresh produce and captivating historic country towns. Don’t miss Gnomesville! It’s a magical place housing more than 3000 gnomes from all over Australia and around the world. 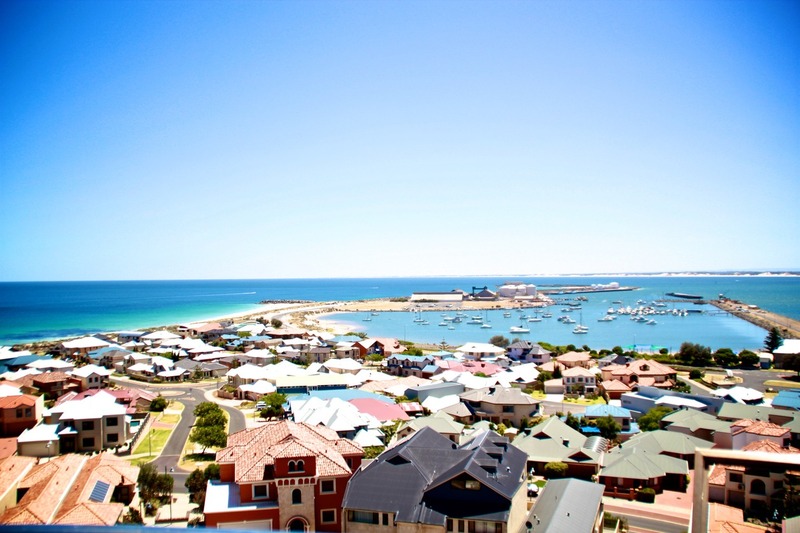 With ocean, inlet and estuary waterways, Bunbury is a water lover’s paradise. Koombana Bay is home to about 200 dolphins, and the Dolphin Discovery Centre is a great place to find out more about them. You might like to experience a dolphin swim tour, a beach interaction or an exciting eco-boat tour. After a meal with views at Marlston Waterfront, you’ll have plenty of choice for where to stay. Bunbury has some great caravan parks, including Discovery Parks Bunbury Village, Discovery Parks Koombana Bay, Bunbury Glade Caravan Park, and Riverside Caravan and Cabin Park. As you head further south, call in to Busselton and stroll the longest timber-piled jetty in the Southern Hemisphere. The Vasse Wonnerup Wetlands is also nearby, offering sanctuary for a range of nesting, resting and migrating birds. Margaret River is famous for its vineyards and wineries, so abandon your vehicle and enjoy a few tastings. You can learn all about the wine region at the Wine Tourism Showroom in the Margaret River Visitor Centre. If you want to stay in Margaret River, look for Riverview Tourist Park. A great place to stay out of town is Yallingup. It’s positioned on a hill overlooking a stunning beach and dramatic coastline.